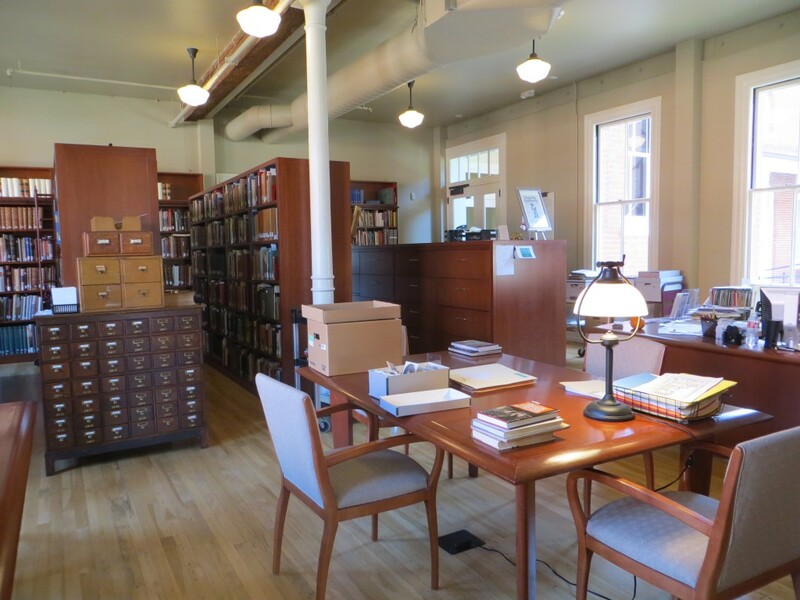 The Alice Phelan Sullivan Library is a non-circulating research library that includes books, archives, manuscript materials, maps, newspapers, periodicals and ephemera. The Library is open to the public free of charge and researchers are welcome, but an appointment is required. Contact Patricia Keats, Director of The Library and Archives, at 415.957.1849 or e-mail (pkeats@californiapioneers.org) for more information about our collection or to make a research request; include your name, contact information and a brief message about the subject of your research. You will be contacted about what our library has to offer you. The Reading Room is open by appointment only. Appointments may be scheduled between the hours of 10am and 4pm, Tuesday-Thursday. Autobiographies and Reminiscences of Early Pioneers are available online, in the Library Reading Room, and via the Online Archive of California.